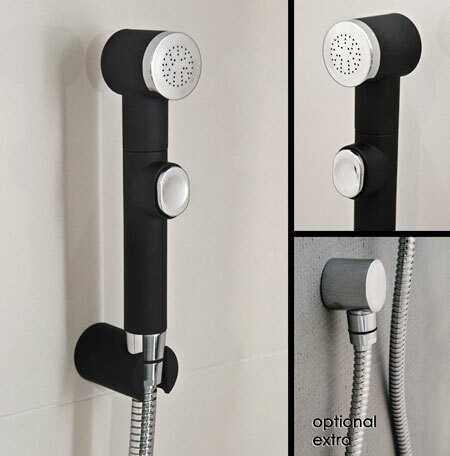 This black finish hand held shower head is unique for its ON/OFF push button. This great feature allows for easy and water efficient hair washing as well easy cleaning of your shower enclosure or bath. * Unique black shower head. * Suitable for low water pressure. * Includes mainland UK delivery.